The Moreton Bay penal settlement moved to the present site of Brisbane in 1824. By 1828, a site bordering the Brisbane River had been earmarked for a Public Gardens, and it also served as a farm to produce food for the colony. In 1855, several acres were declared as a Botanical Reserve, and the man pictured below was appointed as its first curator. He was Walter Hill, and he remained in this role until 1881. Walter Hill was responsible for the original laying out of the area known today as the Botanical Gardens. He was born in Scotland in 1819 and came to New South Wales in 1852, originally intending to be a gold miner. But that didn't last, and Hill accepted the position of curator in Brisbane. He was not without experience - back in Scotland he had been an apprentice gardener at Balloch Castle, and also worked at the Edinburgh Gardens and Kew Gardens before emigrating. As well as being the curator of the Gardens, Hill was also appointed as Queensland's first Colonial Botanist when secession occurred in 1859. This involved expeditions to the far north of Queensland, searching for native plants. He was also responsible for introducing the Queensland icons of jacaranda and poinciana, now beloved by gardeners. Perhaps his biggest contribution to the State's economy was his belief that sugar cane could be successfully grown here, and he was responsible for its introduction. Hill conducted his own experiments in crushing the cane and boiling the resultant juice to prove that it could be granulated into sugar. He was also credited with bringing mango, pawpaw, ginger, tamarind, arrowroot and cotton to these shores; as well as cultivating the Queensland nut. 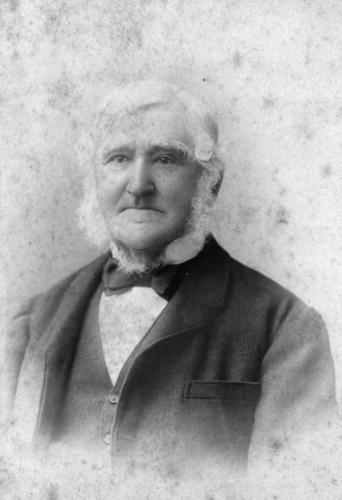 Despite all his fine works in Queensland, he was regarded as somewhat of a prickly fellow, and it was after a falling out with superiors in 1881 that he retired from his government positions. 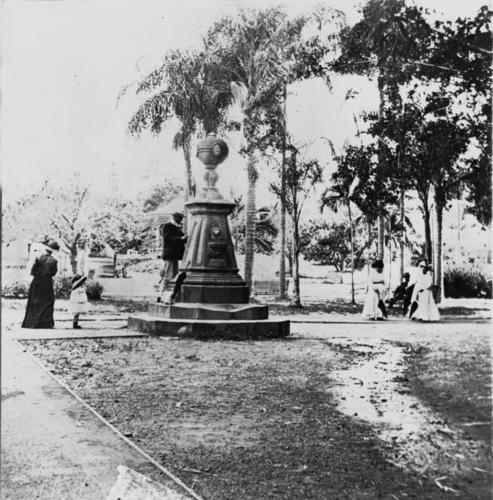 When reticulated water from the Enoggera Dam first reached Brisbane, Colonial Architect Charles Tiffin designed a drinking fountain which was erected in the Botanical Gardens to provide fresh water to the public. It was built by renowned stone mason John Petrie in 1867. Here is a picture of it from 1910. Some time later, the fountain was named the Walter Hill Fountain, in honour of the irascible curator and botanist. Whilst it no longer provides water, it remains as a monument to Hill in today's Botanical Gardens which owe so much to his planning and work. Here is a current photograph. You noted that Walter Hill was responsible for introducing jacaranda and poinciana, as well as sugar cane. The bizarre thing about this concept is that those plants had to be planned for, discussed, permission sought, seeds sourced and then sown for the first time. I can imagine critics telling Walter Hill that it could never be done. Most people think that what is there now... was always thus. But everything has a history! Exactly! And in dealing with bureaucracy, a combative personality like Hill was purported to have would be necessary to achieve anything. I understand the poincianas were introduced as a beautification scheme. When a baby was born in the hospital (circa 1920s), the family was presented with a seedling. Can anyone confirm this?